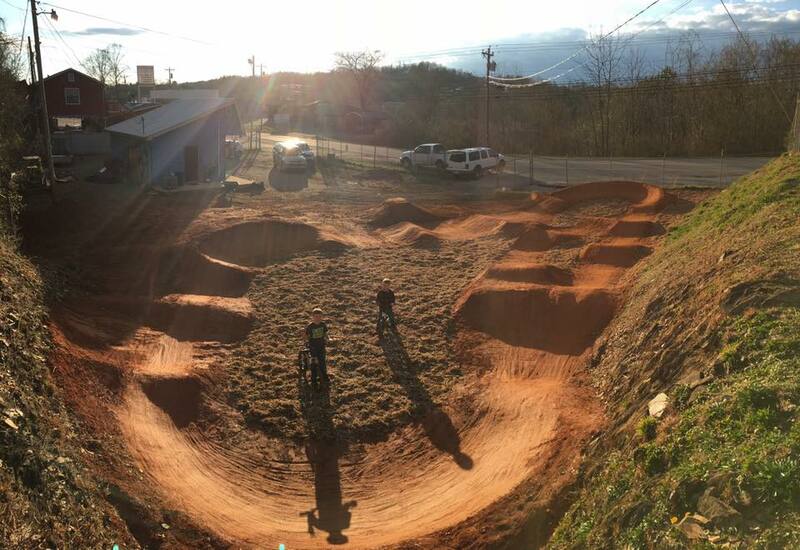 We are putting the finishing touches on the track now. please check back for opening times. Be sure to come check it out at the grand opening April 3rd!! 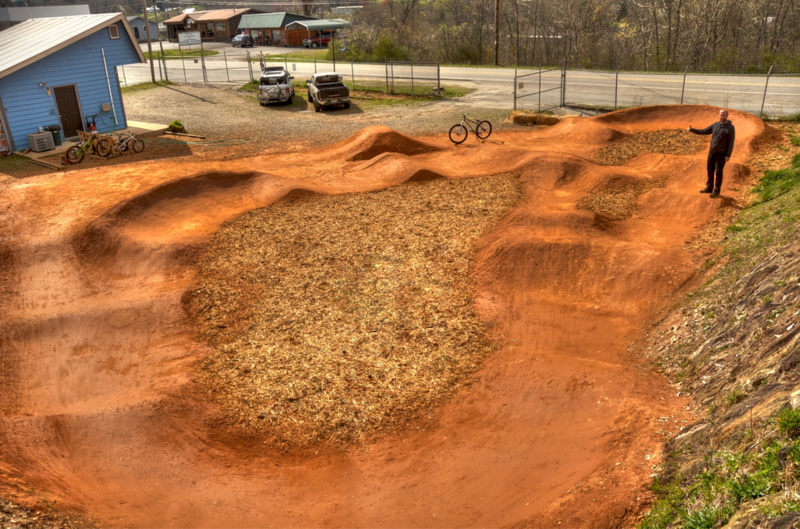 Pump tracks are manmade closed circuits with rollers in between and berms at each end. 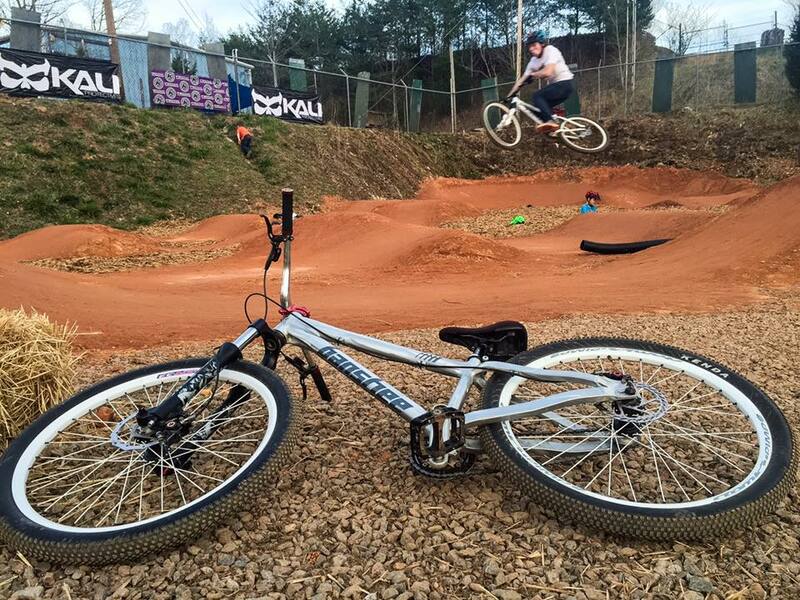 They are designed to be ridden without pedaling. A full-body workout, riders use their body to pump—or push down into the dip after an elevation and pull up before the crest of a mound—throughout the continuous loop. By absorbing and compressing your bike over rollers, you convert gravitational force and downward thrust into speed. 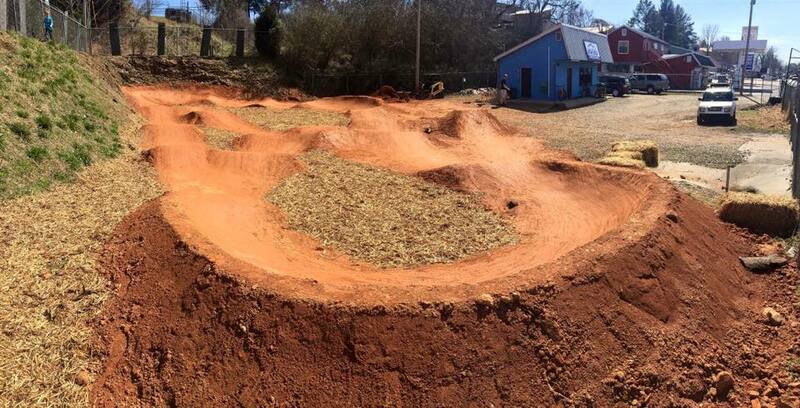 Be sure to check out the new Live Webcam on the Pumptrack!! !